I am thinking of hosting a tourney on Percy Priest lake in early November, can I see who all would be interested? Yeah I saw that on SAF site. Not sure if i can get things done intime for that but will see what I can do. Another problem that i am facing in the fall are my boat captains out pre-scouting deer! 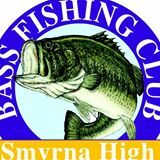 You can now add Smyrna HS the Bassinbulldogs! Just wanted to say hello to all and to et you know that Smyrna HS will now have a bass fishing team coached by me Don Mahaney. Looking forward to meeting all of you out on the water!